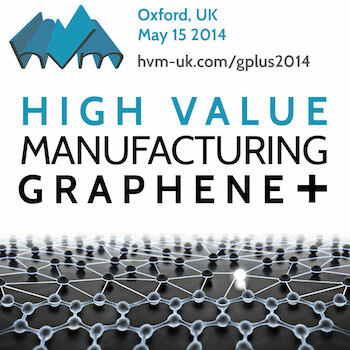 The Oxford 15 May edition of HVM Graphene+ 2014 is looking a delicious lineup of highly interesting and grounded talks by a dozen entrepreneurial and large player speakers. There will be less hype about graphene and less naiveté about its automatic dominance. It will be challenged by the full gamut of functional materials, their pricing strategies, manufacturing utilities and applications. So join us on 15 May – we are already more than half full, bookings are flowing in from senior and eminent guests, and the event is set to bring together some really interesting people. Book now – speaking roles are complete. But places & exhibition stand positions in great positions for this conference are now limited & continue at lower cost! Graphene – What is the commercial viability of short term applications? Please contact 01223 303500 to speak to the organiser of HVMG13 directly. The 8th Smart Homes & Cleanpower Conference 2013 Expo (SHCP13 | Bookings) will take place at Buckingham House Conference Centre, Murray Edwards College, Cambridge University CB3 0DF on 5 November 2013, and the forum will discuss the above questions in pleasant and relaxed modern conference surrounds. An excellent lineup of speakers has been arrayed covering a unique range of related topics. Generalise & thrive! Connectivity in the smart home – Winner Takes All or Horses for Courses? Please call us on 01223 303500 for bookings or more information. The HVM Conference Series was founded in 2002, after a market research report led to an early definition of high value manufacturing. The HVM & Graphene Conference is anchored to the large end markets such as materials, electronics, photonics, energy and biotech and tries to connect these & related markets with graphenes & related functional materials, technologies & processes. The HVM Conference will run an edition on Graphene (HVMG13) and related functional materials on 5 November 2013 in Cambridge. The Nobel Prize has been awarded in 2010 to Geim and Novoselov for work on Graphene. The conference is interested in commercial applications of the materials. There is no interest at this long-running & grounded UK conference series in hyping the market growth derived from the materials. The interest is in the uses, availability, manufacture, timing of graphene, related materials and their market growth. The wide range of potential applications below of graphene fits well with the range of processes & end-product markets that the HVM Conference has covered over the years, such as additive manufacture & printed electronics. This conference of the brightest, best and most experienced will take on board the below, and ask & discuss the full suite of commercialisation & opportunity prioritisation questions. The conference is sponsored by the NanoKTN, Plastic Logic & OSI Electronics. There is also participation from Cambridge University, the IfM, Cambridge Graphene Centre, the National Graphene Institute, Manchester University, Oxford University, Birmingham University, Lancaster University, Imperial College, Cambridge Graphene Platform, Cambridge Nanosystems, Applied Nanolayers, CIT, Novalia, KPMG, Heraeus Noblelight, and a number of key commercial, larger players such as Nokia Research. Graphene is a sheet of carbon atoms arrayed in a honeycomb pattern, just a single atom thick. It could be a better semiconductor than silicon. Graphene is a material with outstanding properties that make it an excellent candidate for advanced applications in future electronics and photonics. …graphene field-effect transistors, FETs, and …graphene monolithically integrated circuits (ICs). These graphene transistors and ICs could become essential elements in the blossoming fields of wireless communications, sensing, and imaging. …impressive photonic properties of graphene. The light–graphene interaction can be adjusted using an electric field or chemical dopant, making graphene-based photonic devices tunable. (Applications such as)…fast photodetectors, optical modulators, far-infrared filters, polarizers, and electromagnetic wave shields. These graphene photonic devices could find various applications in optical communications, infrared imaging, and national security. Graphene is the thinnest known material in the universe and the strongest ever measured. Graphene can sustain current densities six orders of magnitude higher than that of copper…record thermal conductivity and stiffness, is impermeable to gases, and reconciles such conflicting qualities as brittleness and ductility. Recent discoveries have provided simple methods for preparing lab-scale samples to study graphene. A number of techniques have emerged that show promise for producing large-scale samples with the ultimate goal of developing devices that take advantage of graphene’s unusual properties. As large samples become available, the possibility grows for applications of this material in solar cell technology (as flexible, transparent electrodes), in composites material development, and in electronic devices. (We study) thermal transport properties of graphene…applications of controlling heat at nanoscale. The thermal conductivity can be tuned dramatically by the graphene filler concentration. Graphene-based composites are potentially promising as thermal interface materials (for) modern heat management in many industrial applications. The HVM Graphene 2013 Conference is co-located with the ARM sponsored Smart Homes & Cleanpower 2013 Conference, in its 8th year, which takes in Heat, Water and Connected devices/IoT Sessions for an excellent set of crossovers around energy, heat, storage, electronics, and data. Delegates of one conference may move freely between both conference rooms for a rich, inspiring and productive experience on the day. To attend HVM Graphene 2013, simply email (graphene@hvm-uk.com) with your name, affiliation & contact details, and the organisers will do the necessary (pricing is on the webpage linked above). This blog entry was researched and compiled by Dr Justin Hayward MBA and Conference Director. The HEAT Conference has been running since 2007 annually and you can join it via here. Each year it has covered a different set of topics within home energy technologies, including solar PV, lighting, passivhaus & MMC. This year is the exciting turn of iHEAT or intelligent heating systems for smart home/building automation. The aim of this private-sector led conference, which is sponsored by global chip designer ARM Holdings plc, MNC Schneider Electric, fast-track SME AlertMe Ltd and startup accumulator tank company Galu Ltd, is to show how to optimise and automate heating so that consumers who have shown themselves to be less than engaged with esoteric dials and displays, can now live their normal lifestyles in the safe knowledge that they are spending as little as possible on heating, and emitting the least possible carbon for that lifestyle. What could be simpler and more to the point? So come to Cambridge University, CB3 0DF, on 13 November at 09:30 to see how this is done! With 6 years of successful gatherings under this heading, and a clear and coherent aim for the 2012 edition of iHEAT, it is a conference to enjoy and relish. What is more is that this year, in order to complete this cleantech series that began in 2007, there will be a separate conference, led inter alia by Anglian Water, WIN and UKWIR, called iWater & iWaste 2012. Registration is at the same site here, as iHEAT above. As these names suggest, the topics will cover core cleantech areas of how new water technologies and product innovations can help enable water utility buyers to improve their services to consumers and businesses. Led by Anglian Water, half of the day will be devoted to another related core cleantech issue of waste-as-resource. Waste-to-energy (W2E) or energy from waste (EfW) will be covered in one session, another will look into more general closing of loops, reuse and resource efficiency, and how profits can be made in so doing. A final panel will look at how the sectors of water, waste and energy can learn from each other in coming up with significant and infrastructural level change. Examples could be the application of communications standards from electrical metering systems to gas and water, new types of gas being directed into the grid, and industrial symbiosis. Networking between the two conferences will be joint, with a combined exhibition and buffet lunch. The date for the iHEAT, iWATER and iWASTE Conferences is 13 November 2012 at Cambridge Universiry CB3 0DF. Book now for the conference at www.cir-strategy.com/events/register or you can book at 01223 303500. How time flies! That’s almost 10 years since the inaugural HVM Conference in 2002. This year the date for the 10th Anniversary HVM Conference is 14 November, organised by CIR Strategy, the Cambridge-based strategy consultancy. With an all keynote lineup, this year’s decade anniversary festivities promise to be super. But what will be talked about at the celebration of this 10 birthday? It will be an opportunity for private sector companies to discuss their strategy alongside other private sector companies and supply chain companies offering routes to market for products, and experts & service providers whose companies can add value. An ideal mix! Cambridge has punched well above its weight in technology and innovation, with a cluster of over 800 genuine innovators, and this is mirrored in High Value Manufacturing. HVM is the present and the future of industry in the UK. HVM companies can make and market difficult-to-make, well-designed, IPR-rich products to global markets, scale quickly, reinvest in their own product development pipeline and spawn new emergent industries. This is why this conference came into being 10 years ago, with a meeting bringing together such companies as Plastic Logic, CDT, Xaar, and Inca Digital. While the share of services in our economy has continued to rise to around 87%, the value of manufacturing as an anchor to the economy has grown, and its presence enables some of the services businesses that are created. On 14 November, HVM companies young and old will come together and we’ll discuss segments such as printed electronics, 3D deposition, electronics & sensors, regenerative medecine, nanomaterials, chemicals, nuclear, and core manufacturing needs such as CNC, precision forging, sheet forming, folding and so on. The 100-strong director level group will discuss trends and drivers, R&D, the economy, investment, government influence & limitations, competitiveness, competencies, processes & products, servitisation, growth strategies and several case studies. What does UK HVM landscape look like now? What will UK HVM look like in the future? Who are the key private sector players: large and SME companies and investors and channels to market? How has success been achieved by some? What are the barriers to growing HVM companies in the UK?